Oxford Instruments NanoScience is pleased to announce a partnership with the leading European institutions, including renowned research groups from Germany, France, Spain, Finland, and Portugal. The group is led by the Walther-Meißner-Institute (WMI) of the Bavarian Academy of Sciences and Humanities in Garching, Germany on a European project for developing new quantum applications. The collaborative consortium awarded a three million Euro grant from the EU Quantum Flagship Programme, for the proposal on ‘Quantum Microwaves for Communication and Sensing (QMiCS)’. 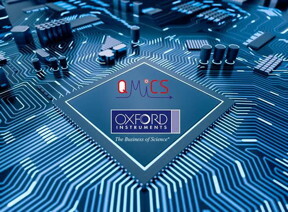 Oxford Instruments NanoScience works closely with customers and partners on developing the next generation of advanced superconducting and cryogenic solutions for quantum and nanotechnology applications, Dr Michael Cuthbert Oxford Instruments NanoScience Business Development and Strategic Marketing Director said, ”This is a great project to be part of and an exciting opportunity to develop solutions that have the potential to network quantum processors running at mK temperatures together to form larger quantum device clusters. One could imagine that future quantum computers might come to rely on such interfaces to relay quantum information on and off chip with a minimal error and latency”. The discovery of principles of quantum physics in the 1920s transformed science and unlocked whole new generations of innovative and commercial technologies, giving us many new discoveries and applications from silicon chips to fibre optic communication. Now they carry the promise of enabling among other things, the next generation of computers, communications, sensors and detectors based on quantum technologies. Quantum technologies have the potential to revolutionise several aspects of our daily lives through the development of new advanced materials and by enabling new advanced instrumentation and digital applications. Microwave communications via quantum technologies will provide a leap in the field of communications, sensing and advanced computation and ultimately impact our societies and quality of life. The European Commission (EU) has identified quantum technologies as a strategic area for investment and launched a new initiative known as the Quantum Flagship on October 29th in 2018. This initiative is already positioning itself as one of the most ambitious projects of the EU with a one billion Euro budget. It will support large-scale and long-term research and innovation projects that will have the main goal of transferring quantum physics research from the lab to the market by means of commercial applications. The initiative intends on placing Europe at the forefront of the second quantum revolution over 10 years, which is now unfolding worldwide. It aims to bring disruptive quantum technologies to the scientific arena and to society in general, by bringing forward new commercial opportunities addressing global challenges and seeding yet unimagined applications for the future. It will build a network of European Quantum Technologies programs that will foster an ecosystem capable of delivering the knowledge, technologies and open research infrastructures and testbeds necessary for the development of a world-leading knowledge-based industry in Europe.